You’ll have a warm and friendly welcome when you to contact our Regional Coordinator, Alison Roberts, with any questions you may have for or about the Jane Austen Society of North America, Metropolitan St. Louis Region. She can answer questions on annual programming, membership, collaborations, or just inquiries on our favorite authoress, Jane Austen. 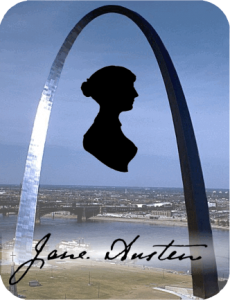 All of our JASNA-St. Louis Region Officers are happy to answer any questions, review suggestions, and pass along information regarding Jane Austen and JASNA – St. Louis. We look forward to your correspondence and you can look forward to our speedy reply. To reduce spam content to our email boxes please re-type the letters you see then select the Send to Our Coordinators button. Thank you!